Assemblyman Mike Gatto was once hopeful for California online poker in 2015, but legislation will have to wait until at least January as the state legislature has recessed for the year. California online poker for 2015 has been filed in the governmental record books and is now formally dead after the state’s senate and assembly adjourned on September 11th, officially ending its legislative year and leaving the iPoker ban in place until lawmakers reconvene on January 4, 2016. Much activity took place in the Golden State over the last 12 months as multiple bills were brought to Sacramento and Californians, as Responsible iPoker partnered with PokerStars to embark on a statewide tour to promote awareness along with several of its superstars including Daniel Negreanu, Vanessa Selbst, and Chris Moneymaker. But in the end, the disagreements from the several invested parties including tribal groups, card clubs, and racetracks was simply too much for politicians to overcome, with common ground suiting all adversaries remaining elusive. For residents of America’s most populous state who were once optimistic of seeing Internet poker legalized, the capital’s stalemate is certainly disappointing as the Interim Study Recess will extend iPoker prohibition into the new year. The debate was lengthy though in 2015, which is why Californians shouldn’t give up all hope for 2016. AB 431: Assemblyman Adam Gray (D-District 21) introduced a shell bill that served as a placeholder. Gray says AB 431 will be back on the table in January. AB 167: Assemblyman Reggie Jones-Sawyer (D-District 59) called for a $10 million licensing fee, an 8.5 percent tax rate, would allow tribes and racetracks to offer online poker, and did not include any “bad actor” language that would block PokerStars. AB 9: Assemblyman Mike Gatto’s (D-District 43) bill would require iPoker networks to pay a $5 million deposit and be taxed at five percent. Gatto’s legislation would also make it rather difficult for PokerStars to enter California. Gatto seemed the most resolute to authorize online poker, once estimating it had a 50-50 chance of passing in 2015 before downgrading his fervor to 35 percent. After AB 9 seemed to be gaining momentum in the spring, Gatto cancelled a scheduled hearing in the Governmental Organization Committee in July after he said tribal groups failed to reach a consensus. American Indian tribes that currently have a monopoly on land-based gambling in California have long been in favor of also receiving exclusivity in regards to online poker. However, the San Manuel and Morongo Band of Mission Indians joined a coalition led by Amaya/PokerStars and Caesars along with the Commerce, Hawaiian Gardens, and Bicycle card rooms in late 2014. 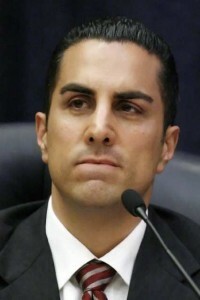 The problem is that the 10 other tribes continue to remain strong on their stance that they should be the only entities granted the rights to offer iPoker, but in a rare occurrence of compromise, Pechanga Band of Luiseno Indians Chairman Mark Macarro did hint that his group would be willing to consider profit sharing with racinos if they end their pursuit of operating licenses. Though tribes are recognized as “domestic dependent nations” that are legally free from state law, the Native American groups have great influence over politicians. San Manuel and Morongo spent over $107 million between 2003 and 2013 on political lobbying, with Pechanga shelling out $72 million.